Economical price, good quality - these characteristics are combined in the Kreidler Dice 29-series 3.0. This makes it the perfect entry-level MTB. The aluminium frame impresses with a balanced mixture of high stiffness and low weight, thereby guaranteeing sporty handling. The Shimano cassette also impresses with precision and dynamics. An LED lighting system with parking light, mudguards from Hebie and a practical rear stand ensure roadworthy safety. 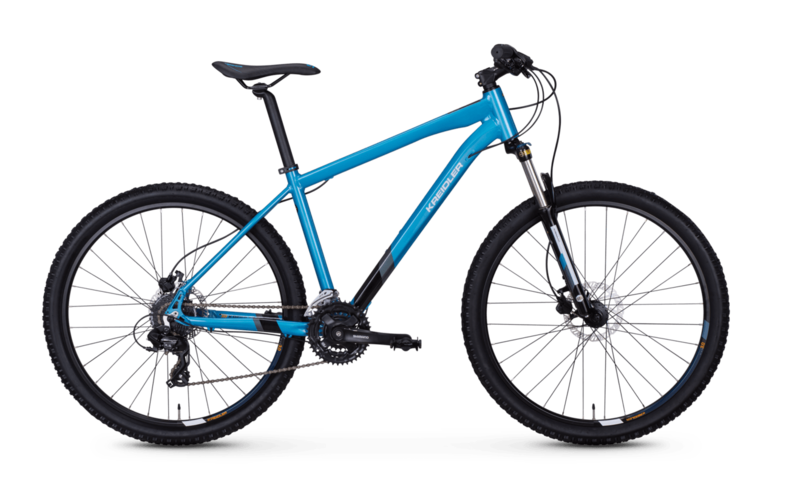 The mountain bike not only stands for a lot of fun off-road, but is also the ideal companion for commuters or the school run. The hydraulic disc brake from Tektro is also a symbol of safety: with its powerful grip, the brake ensures that you always have control over your mountain bike.